HTC may have sidetracked its smartphone business, but it is still bullish on VR and the HTC Vive. Rightfully so, as it’s turned out to be one of the most popular platforms for VR gaming, alongside Oculus and PlayStation VR, and HTC could now be looking to revamp its (phantasmic) glory with new products being showcased at CES 2018. HTC’s Vive division has teased an image on Twitter, hinting that the company might have new surprises for VR enthusiasts. The image is complemented by text, “NEW YEAR’S RESOLUTION“, along with the plausible date of launch i.e. January 8. The creative’s emphasis on “resolution” is more than a certificate that HTC’s speculated headset might feature higher resolution than the previous models. 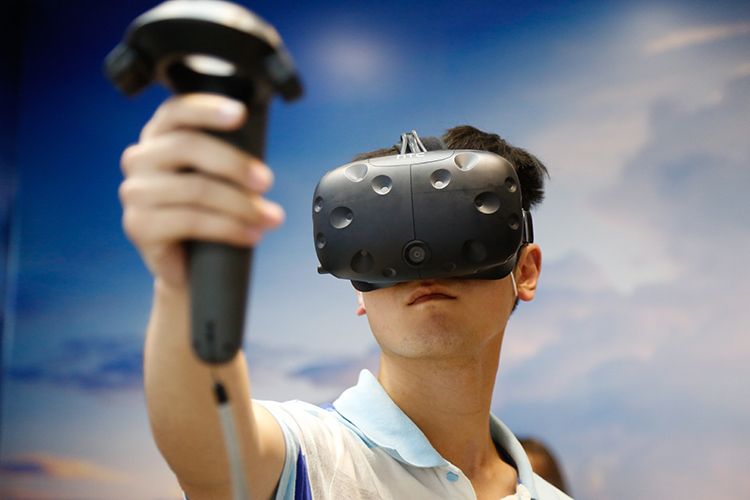 Current headsets from the HTC Vive lineup use a resolution of 2160×1200 i.e. 1080×1200 per eye. It, perhaps, means that if HTC sticks to the existing resolution benchmarks, it could bump the resolution up to 4K (2160p) per eye. Resolution has already gained much attention in relation to CES 2018 with display manufacturers actively pushing up to 8K displays. If HTC does embark upon the 4K route, it is likely to gain support from GPU giants like AMD and Nvidia which are already banking big on a resolution bump. Higher clarity would also remedy the screen-door issue as well as reduce Fresnel effect. A more conservative view suggests that HTC could, instead, work with a 1440p resolution per eye as it pacifies the need of power-hungry GPUs. The step would, however, makes less sense as Microsoft’s Mixed Reality headsets offer a similar resolution for much lower than Vive’s $599 price. Further, HTC’s recently launched a standalone Vive headset already uses 2880×1600 resolution so using 1440p wouldn’t be a very bright idea. Other speculations we have for the teased headset include a better eye-tracking mechanism, and potentially a wireless setup. It would be interesting to see HTC’s point of view (pun fully intended), which should be clear to us in a couple of days.